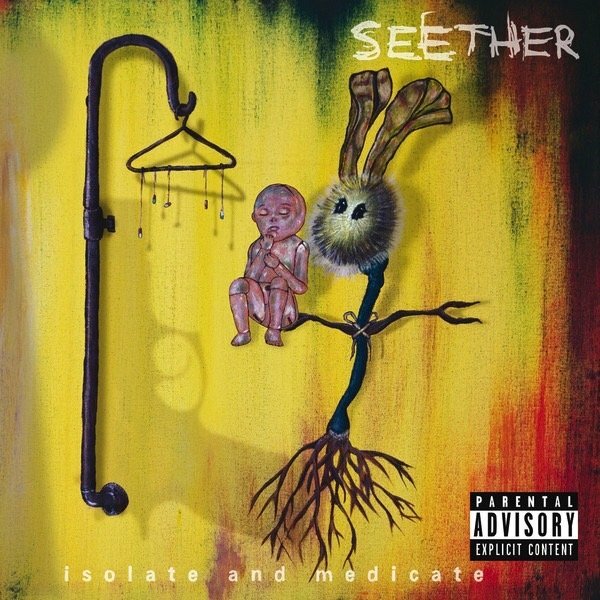 Grunge band Seether are back with their sixth studio album, Isolate and Medicate, the follow up to 2011’s Holding Onto Strings Better Left to Fray. The opening track ‘See You At The Bottom‘ immediately shows that they are staying true to their roots. The introduction kicks off with a deep, slow bass solo, before the other instruments join in, giving the song a rough, heavy edge as we are used to from Seether. The second track takes a slightly lighter tone, achieved by the softer bass line. There are also some rather high vocals in ‘Same Damn Life‘ that are strange, but still a nice way to change things up. The first single taken from this record ‘Words As Weapons‘ is a great mix of dark grunge and softer, acoustic verses. At times the vocals in the verses seem to echo Gary Jules‘ version of ‘Mad World‘. This was a great choice for the lead single, with the mix of moods showcasing both sides of the album. ‘Crash‘ marks the middle of this 10 track release and takes us the furthest from the feel all other songs have. Of course, this doesn’t make it any less Seether. We are quickly brought back to heavy tones with ‘Suffer It All‘, with a beat great to headbang to. The introduction throws us straight back into things with an fast drum beat and dirty guitars, with some screamed vocals in the pre-chorus. ‘Watch Me Drown‘ takes us to a more cheerful place (which you wouldn’t guess from the title) much like ‘Same Damn Life‘, continuing to keep the album diverse. Closing song ‘Save Today‘ takes us to a slightly mellower, more emotional place. It doesn’t stray too far from the rest of the album though, with some rough vocals, as well as soft acoustic moments, and some heavier guitar tracks. All in all this is a good album, with plenty of variety, which all great records need. It’s all still very typical Seether, though. Of course, that’s not a bad thing, Seether are a great band, but it would be refreshing to maybe see a song or two stray from their comfort zone.